DIRECT FROM LOURDES - Sterling Silver Virgin Mary Pendant. Sterling Silver Virgin Mary Pendant. 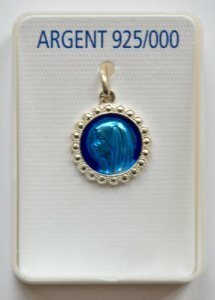 Sterling silver Virgin Mary pendant with the image of the apparitions on the reverse.